In addition to the new corporate partners, several new faces joined the Webb Creek team in 2017. Mark Pedersen, Vice President of Capital Markets joined our team in January. Mark brings over 30 years of experience in private placement tax investments. Lance Maffett, Director of Project Management, came on board in March. Lance is a retired Colonel, United States Marine Corps, and possesses valuable management and real estate experience, particularly in the area of land preservation. Keri Smith, Customer Service Manager, joined our team in June. Keri has developed invaluable experience with the Rome Floyd Chamber of Commerce in the areas of client relations, as well as economic and community development. Carrie Strickland joined Webb Creek in October. Carrie is a recent graduate of Berry College and brings both retail and corporate experience to the team. 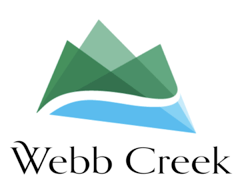 Webb Creek is already hard at work in 2018, and we look forward to another rewarding year!